Comprehensive in scope, it describes the process of system safety--from the creation and management of a safety program on a system under development to the analysis that must be performed as this system is designed and produced to assure acceptable risk in its operation. Unique in its coverage, it is the only work on this subject that combines full descriptions of the management and analysis processes and procedures in one handy volume. Designed for both system safety managers and engineers, it incorporates the safety procedures used by the Department of Defense and NASA and explains basic statistical methods and network analysis methods which provide an understanding of the engineering analysis methods that follow. 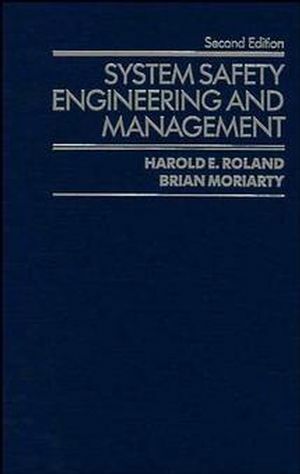 Harold E. Roland is the author of System Safety Engineering and Management, 2nd Edition, published by Wiley. Brian Moriarty is the author of System Safety Engineering and Management, 2nd Edition, published by Wiley. System Safety in System Operation. Methods of Safety Data Analysis. Operating and Support Hazard Analysis.